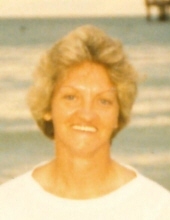 Dianna Mae Simpson, 75, of Crab Orchard, passed away Tuesday, November 13, 2018, at The University of Kentucky Hospital in Lexington. Dianna was born in Crab Orchard on June 6, 1943, to the late James Homer and Versie Marie (Wilson) Crank. She was a retired Nurse's Aid having worked for the Rockcastle Regional Hospital. Dianna was a member of the Beech Grove Baptist Church. Visitation will be after 6 PM on Thursday, November 15th at McKnight Funeral Home. To send flowers or a remembrance gift to the family of Dianna Mae Simpson, please visit our Tribute Store. "Email Address" would like to share the life celebration of Dianna Mae Simpson. Click on the "link" to go to share a favorite memory or leave a condolence message for the family.